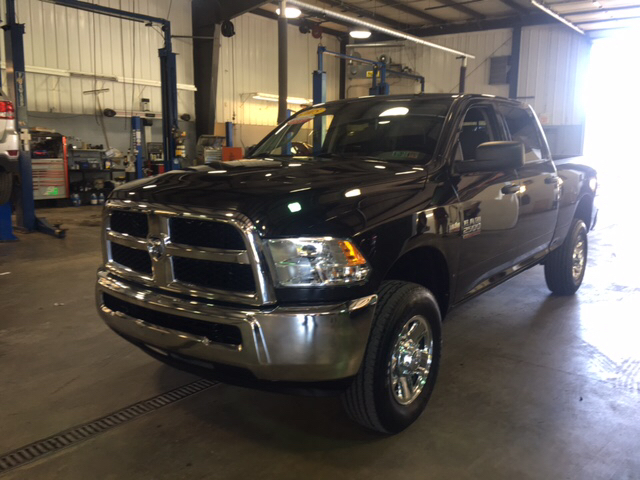 Introducing the 2016 Ram 2500! Feature-packed and decked out! With less than 20,000 miles on the odometer, you can be confident that this pre-owned vehicle will provide you reliable transportation. Top features include power windows, a rear step bumper, cruise control, and air conditioning. Smooth gearshifts are achieved thanks to the refined 6 cylinder engine, and for added security, dynamic Stability Control supplements the drivetrain. Four wheel drive allows you to go places you've only imagined. Our sales staff will help you find the vehicle that you've been searching for. We'd be happy to answer any questions that you may have. Stop by our dealership or give us a call for more information. 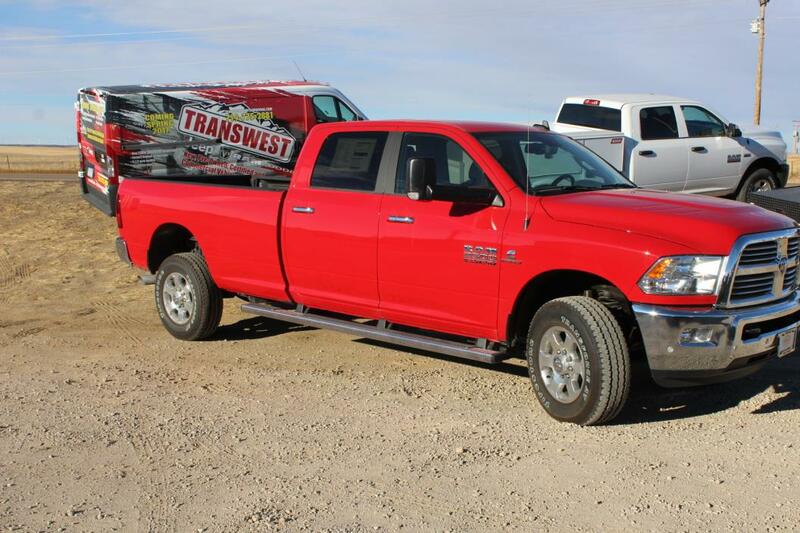 2500 SLT, SLT, Check out this reliable 2013 Ram 2500 . Winch-type tire carrier, Vendor Painted Cargo Box Tracking, Variable speed intermittent windshield wipers, Transmission Oil Cooler, Trailer tow wiring w/4-pin connector. 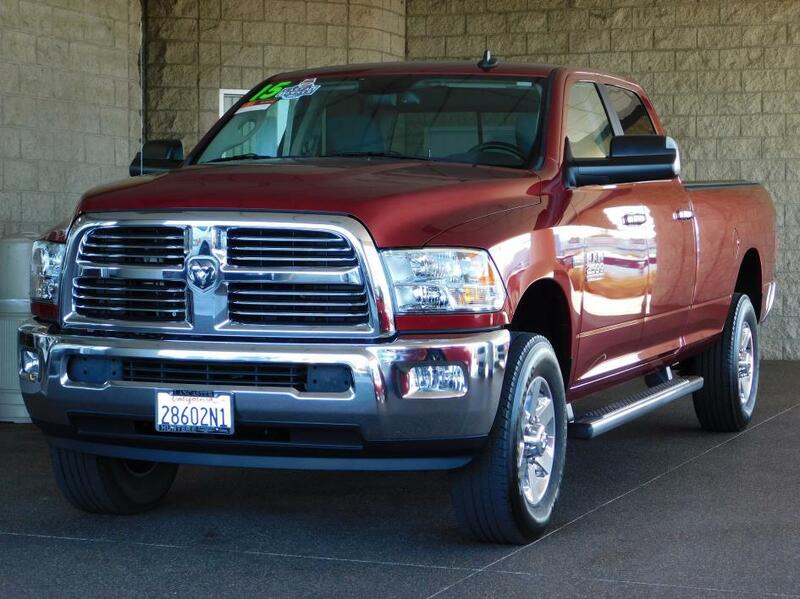 This Ram 2500 Comes Equipped with These Options Trailer brake control, Tire pressure monitoring display, Tip Start, Tinted windshield glass, Tinted glass windows, Tilt steering column, Supplemental side curtain front rear air bags, Supplemental side air bags, Supplemental front seat side air bags, Storage Tray. 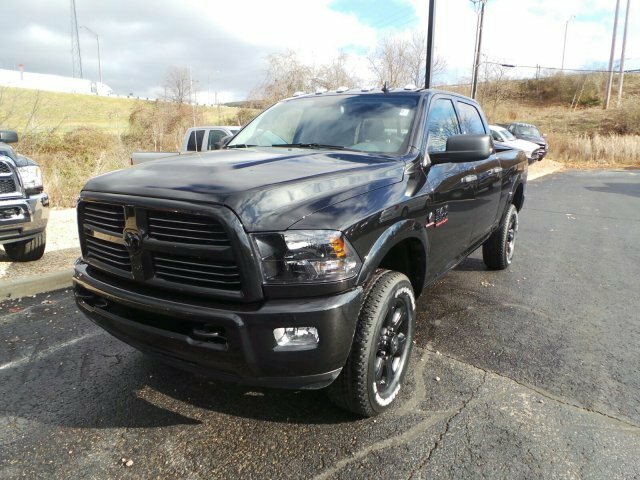 Stop By Today For a hassle-free deal on this must-own Ram 2500 come see us at Bleecker Chrysler Dodge Jeep, 1110 E Cumberland St, Dunn, NC 28334. 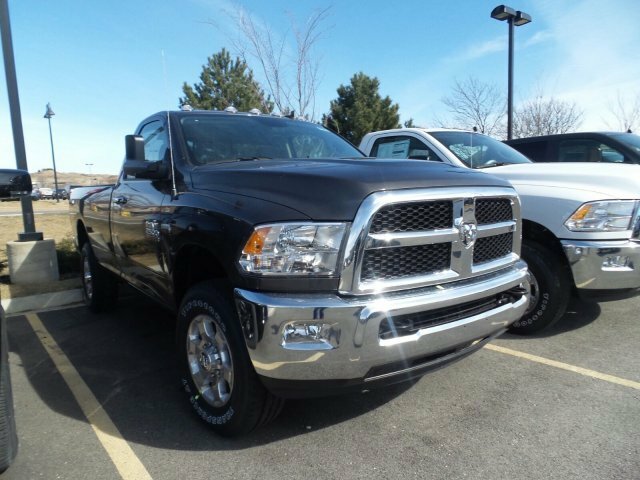 Just minutes away!, Certified Pre-Owned-2500,Power Seat Check out this reliable 2013 Ram 2500 . Winch-type tire carrier, Vendor Painted Cargo Box Tracking, Variable speed intermittent windshield wipers, Transmission Oil Cooler, Trailer tow wiring w/4-pin connector. 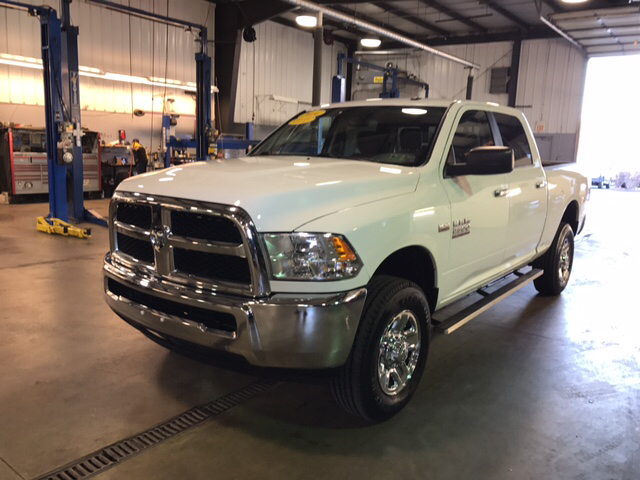 This Ram 2500 Comes Equipped with These Options Trailer brake control, Tire pressure monitoring display, Tip Start, Tinted windshield glass, Tinted glass windows, Tilt steering column, Supplemental side curtain front rear air bags, Supplemental side air bags, Supplemental front seat side air bags, Storage Tray. 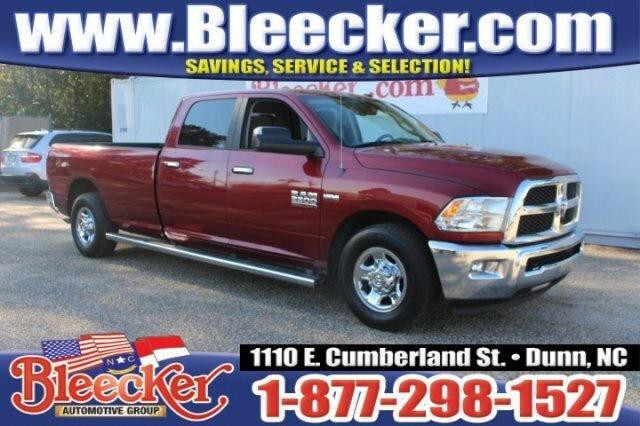 Stop By Today For a hassle-free deal on this must-own Ram 2500 come see us at Bleecker Chrysler Dodge Jeep, 1110 E Cumberland St, Dunn, NC 28334. Just minutes away! 2500 SLT, SLT, Check out this great value! You'll appreciate its safety and convenience features! It includes heated seats, a leather steering wheel, a bedliner, and cruise control. Under the hood you'll find an 8 cylinder engine with more than 400 horsepower, and load leveling rear suspension maintains a comfortable ride. Four wheel drive allows you to go places you've only imagined. We pride ourselves on providing excellent customer service. Please don't hesitate to give us a call., 180 Amp Alternator,3.73 Axle Ratio,4.10 Axle Ratio,50 State Emissions,5th Wheel/Gooseneck Towing Prep Group,9 Alpine Speakers w/Subwoofer,Auto Level Rear Air Suspension,Engine: 6.4L Heavy Duty V8 HEMI w/MDS,GVWR: 10,000 lbs,Premium Cloth 40/20/40 Bench Seat,Quick Order Package 22G SLT,Transmission: 6-Speed Automatic Check out this great value! You'll appreciate its safety and convenience features! It includes heated seats, a leather steering wheel, a bedliner, and cruise control. Under the hood you'll find an 8 cylinder engine with more than 400 horsepower, and load leveling rear suspension maintains a comfortable ride. Four wheel drive allows you to go places you've only imagined. We pride ourselves on providing excellent customer service. Please don't hesitate to give us a call. 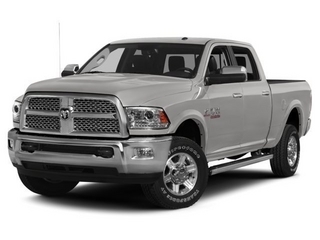 2500 SLT, SLT, This Ram 2500 boasts a Intercooled Turbo Diesel I-6 6.7 L/408 engine powering this Automatic transmission. Wireless Streaming, Vinyl Door Trim Insert, Vendor Painted Cargo Box Tracking. 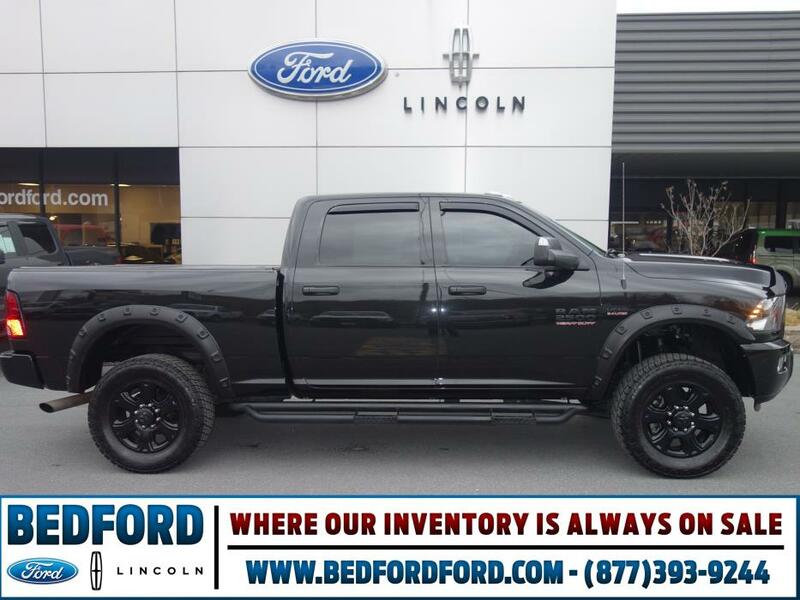 This Ram 2500 Features the Following Options Variable Intermittent Wipers, Valet Function, Urethane Gear Shift Knob, Trip Computer, Transmission: 6-Speed Automatic (66RFE), Transmission w/Driver Selectable Mode and Sequential Shift Control, Transmission Oil Cooler, Tire Specific Low Tire Pressure Warning, Tip Start, Tailgate Rear Cargo Access. 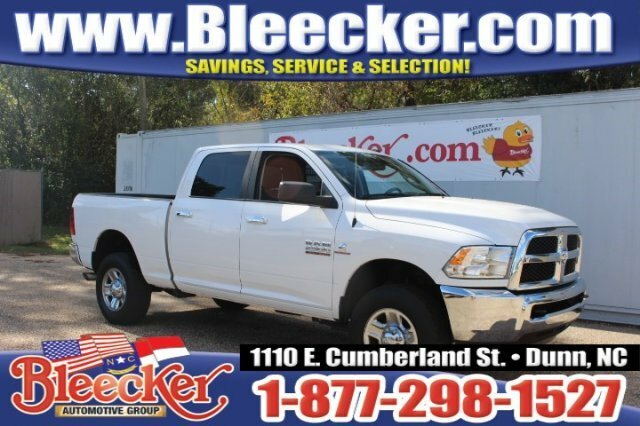 Stop By Today Stop by Bleecker Chrysler Dodge Jeep located at 1110 E Cumberland St, Dunn, NC 28334 for a quick visit and a hassle-free deal!, 6.7L Turbo Diesel,Rearview Camera Sys This Ram 2500 boasts a Intercooled Turbo Diesel I-6 6.7 L/408 engine powering this Automatic transmission. Wireless Streaming, Vinyl Door Trim Insert, Vendor Painted Cargo Box Tracking. 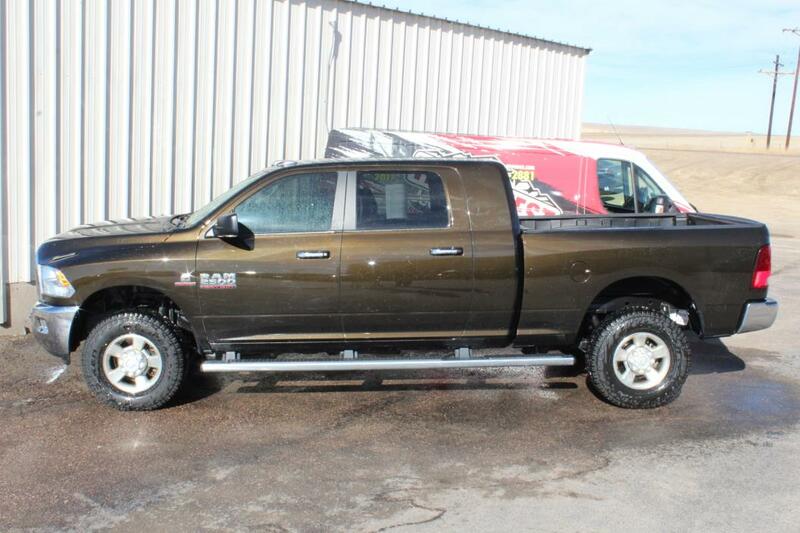 This Ram 2500 Features the Following Options Variable Intermittent Wipers, Valet Function, Urethane Gear Shift Knob, Trip Computer, Transmission: 6-Speed Automatic (66RFE), Transmission w/Driver Selectable Mode and Sequential Shift Control, Transmission Oil Cooler, Tire Specific Low Tire Pressure Warning, Tip Start, Tailgate Rear Cargo Access. Stop By Today Stop by Bleecker Chrysler Dodge Jeep located at 1110 E Cumberland St, Dunn, NC 28334 for a quick visit and a hassle-free deal! Carfax One-Owner. 4D Crew Cab, Cummins 6.7L I6 Turbodiesel, 4WD, 8.4' Touchscreen Display, Big Horn Regional Package, Electronic Stability Control, For Details Go To DriveUconnect.com, GPS Navigation, Heated Front Seats, Heated Steering Wheel, Radio: Uconnect 8.4AN AM/FM/SXM/HD/BT/NAV, SiriusXM Traffic, Uconnect Access, Wheels: 18' x 8.0' Polished Forged Aluminum. Cummins 6.7L I6 Turbodiesel Odometer is 16661 miles below market average! Reviews: * Massive interior room low step-in height available fuel-efficient diesel engine. according to Edmunds We will pay top dollar for your car, even if you don't buy one from us! Don't make a $2000 mistake and pay too much somewhere else! Be sure to check with us before you buy! 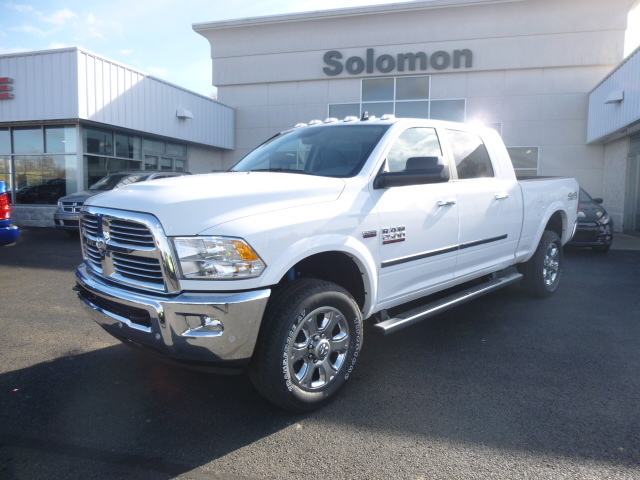 2500 SLT, SLT, Big Horn trim. CARFAX 1-Owner. WAS $39,234, $800 below Kelley Blue Book! iPod/MP3 Input, Bluetooth, Remote Engine Start, Satellite Radio, Trailer Hitch, Chrome Wheels, 4x4. AND MORE! KEY FEATURES INCLUDE 4x4, Satellite Radio, iPod/MP3 Input, Bluetooth, Trailer Hitch, Chrome Wheels, Remote Engine Start MP3 Player, Keyless Entry, Privacy Glass, Child Safety Locks, Electronic Stability Control. 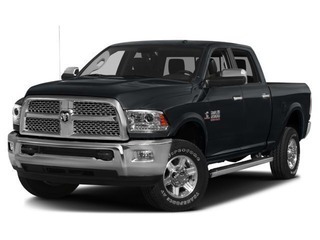 EXPERTS CONCLUDE Edmunds.com explains 'The 2015 Ram 2500 is a top pick for a heavy-duty truck thanks to its refined interior, forgiving ride and impressive towing and hauling capabilities.'. EXCELLENT VALUE Reduced from $39,234. This 2500 is priced $800 below Kelley Blue Book. OUR OFFERINGS Family owned since 1944. Visit us in the heart of the Lancaster Auto Mall. Pricing analysis performed on 11/2/2016. Please confirm the accuracy of the included equipment by calling us prior to purchase., Power Windows,Keyless Entry,Power Steering,Trip Computer,Satellite Radio,Power Door Locks,Cruise Control,Trailer Hitch,Privacy Glass,AM/FM Stereo,4x4,Brake Assist,iPod/MP3 Input,Bluetooth,Power Driver Mirror,Vehicle Anti-Theft System,Auto-Off Headlights,Driver Air Bag,Passenger Air Bag,A/C,Rear Head Air Bag,Child Safety Locks,Heated Mirrors,MP3 Player,Electronic Stability Control,Locking Rear Differential,Remote Engine Start,Side Head Air Bag,Auto Transmission w/Manual Mode,8 Cylinder Engine,4-Wheel ABS,Tire Pressure Monitoring System,Tires - Front All-Season,Passenger Vanity Mirror,Adjustable Steering Wheel,Gasoline Fuel,6-Speed A/T,Chrome Wheels,Full Size Spare Tire,Split Bench Seat,Fog Lamps,Tires - Rear All-Season,Variable Speed Intermittent Wipers,4-Wheel Disc Brakes,Front Floor Mats Big Horn trim. CARFAX 1-Owner. WAS $39,234, $800 below Kelley Blue Book! iPod/MP3 Input, Bluetooth, Remote Engine Start, Satellite Radio, Trailer Hitch, Chrome Wheels, 4x4. AND MORE! KEY FEATURES INCLUDE 4x4, Satellite Radio, iPod/MP3 Input, Bluetooth, Trailer Hitch, Chrome Wheels, Remote Engine Start MP3 Player, Keyless Entry, Privacy Glass, Child Safety Locks, Electronic Stability Control. 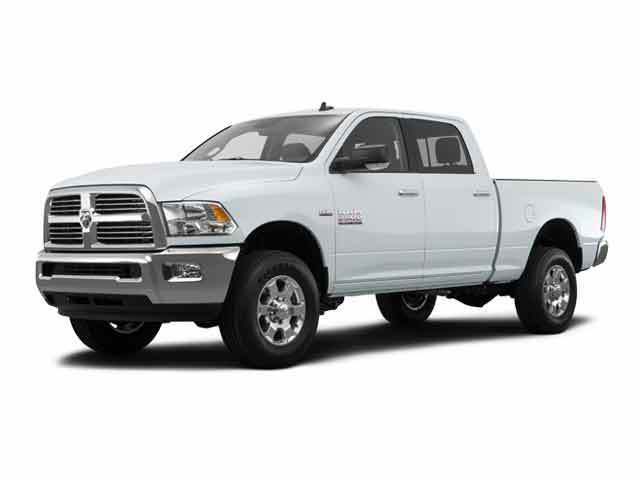 EXPERTS CONCLUDE Edmunds.com explains 'The 2015 Ram 2500 is a top pick for a heavy-duty truck thanks to its refined interior, forgiving ride and impressive towing and hauling capabilities.'. EXCELLENT VALUE Reduced from $39,234. This 2500 is priced $800 below Kelley Blue Book. OUR OFFERINGS Family owned since 1944. Visit us in the heart of the Lancaster Auto Mall. Pricing analysis performed on 11/2/2016. Please confirm the accuracy of the included equipment by calling us prior to purchase.